The new obsessive love of meshing polyrhythmic Afrobeat grooves and electronic music has given birth to some genuinely enlightening acts and also some that very fall short of this mark. It seems that for every new creative artist, there are several dozen DJs right behind them making lackluster mash-ups of the Top 40 charts. 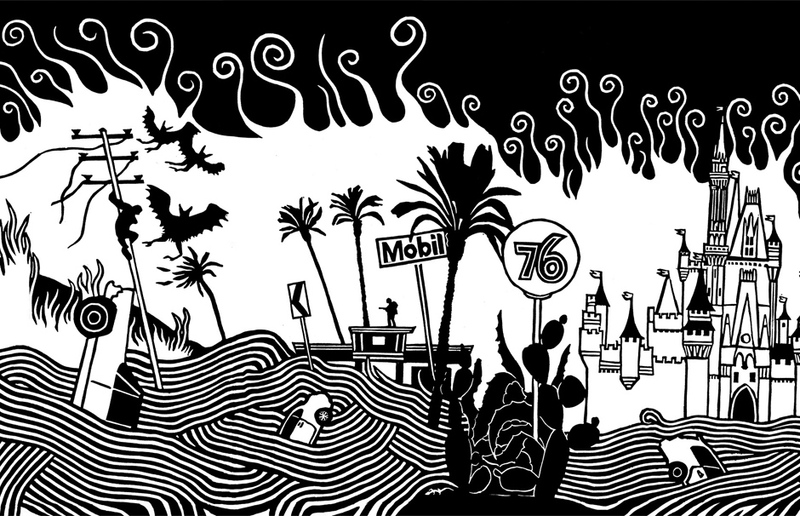 In most cases the trade off is well worth it if you know where to look, and this new effort by Thom Yorke’s side project Atoms For Peace (named after a song from Yorke’s lone solo effort, The Eraser) fits nicely into the former category. Born from a three day jam session in bassist Flea’s Los Angeles home that was reportedly fueled by alcohol, pool competitions, and Fela Kuti playing on an endless loop; AMOK has a sound familiar to anyone who has listened to a Radiohead album in the last decade (particularly King of Limbs), but the new scaled-back arrangements and general lack of mid-range instruments allows room for layers upon layers of tight, jittery percussion that puts the listener in a head-nodding trance. The influence of Kuti really can’t be understated; instead of djembes, horns, and chants, AFP use synthesizers, schizophrenic hi-hats, and electronic clicks as Yorke’s trademark falsetto floats to the top of all of this claustrophobic shifting and twitching. In order to create this cacophony of rhythms, Yorke recruited a world-class rhythm section in the form of Mauro Refosco (Red Hot Chili Peppers) and Joey Waronker (Beck, R.E.M., Elliott Smith) on percussion, longtime friend and collaborator Nigel Godrich providing synths and keyboards, and the great Flea on bass (also RHCP). With such a bottom-end-heavy lineup, it’s easy to see why melody and harmony were all but abandoned in exchange for this groove-based result. Despite this focus on rhythm, Flea initially seems like an odd addition to such a dark and moody project, given his history of being the lovably obnoxious and often-naked poster boy for the Chilis, but using this as a comparison to his revered virtuosic skills that run rampant throughout the RHCP catalogue just make the reserved bass tracks that drive AMOK all the more impressive in their restraint and roundness. The album opens with the synth-doused “Before Your Very Eyes…” followed by “Default,” arguably the most danceable and accessible tune of the collection. As the LP continues on, the second half begins to take its toll as the confining beats wear down the listener. Filled with creative but repetitive percussive interplay, songs have a tendency to blend into the other but still find occasional moments of clarity, such as the blissful outro of “Dropped.” “Judge, Jury, and Executioner,” another stand out track, revels in funky syncopated handclaps and a looped bass groove while Yorke supplies lyrical staccato spits to compliment his usual falsetto warble. As with any Yorke-related project, repeated listens are recommended and rewarding. There aren’t a large variety of colors, timbres, or dynamics presented here, and it’s safe to assume that this has been noted and ignored by Yorke and Co., perhaps even welcomed. While evaluating the quality of this album, it’s worth mentioning it was never intended by its creators to have a large enough scope to compete with the marquee works of the artists’ day jobs, such as Kid A or Californication. Rather, this album and possibly the group itself seem to exist solely as an experimental escape for its already accomplished members, an idea that’s hinted at in the opening lyrics to “Default”: “It slipped my mind/And for a time/I felt completely free.” If this is true, we should all hope that Flea invites the band over for a round of drinks very soon. Nice review. 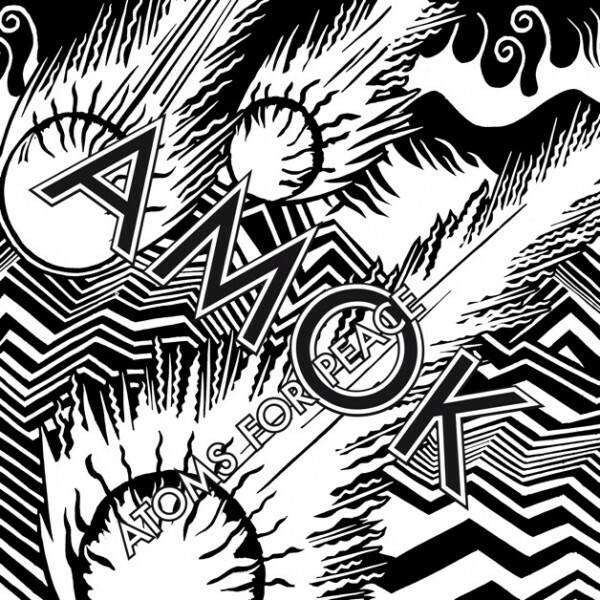 I was suprised at Amok the first time I listened to it, mainly because Flea took his normal funk slap-bass technique and turned it into a fuzzy synth sound, but the more I listen to it I like it. It has a very hypnotic groovable sound. The only problem I find with it is the first 5 songs seem to have a real strong presence with a unique sound and the last 4 seem to fall off a bit. Even with that being said, I still feel like it’s a great ablum and anticipate more to come from Thom and Flea in the future.